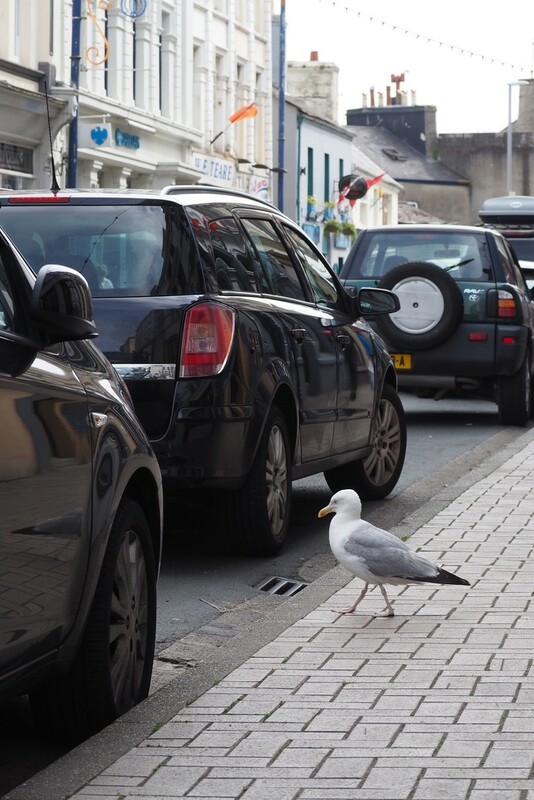 This morning in Ramsey this splendid Herring Gull (Jonathan?) was walking along the pavement and then decided to cross the road. An approaching couple, out of shot, were suitably amused as I all but sat on the pavement to capture the moment. Very cute! Sitting on the pavement was worth it for this PoV - well done! Great capture...The sidewalk design is interesting. Johnathan was on a mission for sure. Hats off to you and your perspective. Fav. I don't know what to say about this... except that it's hilarious and I like it a lot.